Team Mohhammed vs. Team Jesus this time. 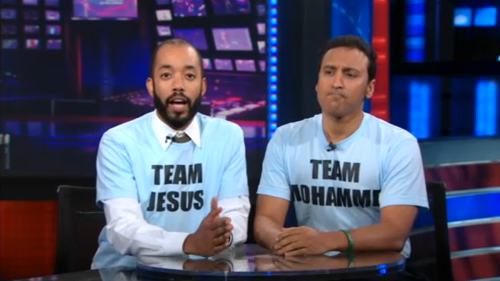 Assif Mandvi and Wyatt Cenac are hoping for a religious war. Aasif Mandvi Investigates The Controversial Mosque. The Other One. In Murfreesboro, TN.